It is time for an awesome fall giveaway! This is why I have partnered with Heather from US Japan Fam to offer you this amazing giveaway! Take a look at the details about each of the amazing prizes, and enter to win in the rafflecopter box below. Don’t forget, you’ll get additional entry points for every action taken, from following each account on social media to signing up for mailing lists and leaving comments on the blog. Full of flavor but free from gluten-free, carrageenan, and soy, each serving of Sneakz organic drinks contain a half serving of veggies! Available in chocolate, vanilla, and strawberry – you can choose from their original ready-to-drink “milkshake” dairy-based boxes or the new vegan protein & probiotic powders – each scoop has 14 grams of pea protein, 10 essential amino acids, fiber, half a serving of vegetables, and at least 500 million CFUs of probiotics! Our grand prize winner will receive a $95 value variety pack – 1 vegan powder pack of each flavor, and 1 six-pack of milkshake boxes in each flavor! Your child will be strumming away in no time with the award-winning Loog mini guitar as his or her first musical instrument! Using just the first 3 strings of a 6-string guitar, a Loog mini has the same strings, tuning, and finger placement as a traditional guitar, making it an easier way to get your child (3 years and up) started on the guitar, acquiring skills that stay with them a lifetime. With the chord cards that come with the guitar, and the free Loog Guitar app, playing guitar will be a fun endeavor for both child and parent! Our grand prize winner will receive one Loog Mini Guitar, an $79 value. Whether shopping for baby’s first shoes or your big kid’s “cool” sneakers, award winning pediped has shoes for all of your littles – with over 130 styles from newborn to size 6 youth! Made with premium grade, non-toxic materials, pediped shoes are comfortable, supportive & healthy for growing feet, stylish, and durable! 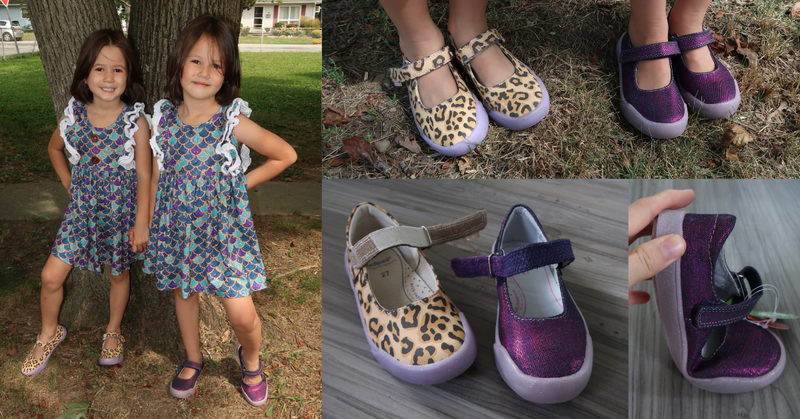 Our grand prize winner will receive 1 pair of pediped shoes, a $60 value! ​From backpacks to bento boxes (that don’t leak even when you put dipping sauces in them!) to washable labels for clothes and water bottles, Stuck On You has a fabulous variety of items for kids and families. The best part? Everything comes personalized, just selecting an image, text, and font! Our grand prize winner will receive a $50 store credit to shop on stuckonyou.us! Nothing makes changing your bedding easier than QuickZip!! With fitted sheets that save you the struggle by coming off with a quick zip (for crib mattress through California King; a MUST for bunk beds!! ), to waterproof mattress pads, pillow cases, flat sheets, and even an adorable crib artist series!! Our grand prize winner will receive a $50 store credit. Squeasy Gear’s silicone pouches are perfect for on-the-go snacks such as applesauce, yogurt, and smoothies, and even make great water bottles that roll up when empty!! Use the removeable no-spill insert or take it out and use as a “free flow” bottle. The pouches are reversible for easy cleaning, and all parts are top-rack dishwasher safe!. The original Squeasy Snacker comes in 3.5oz and 6oz sizes, and the Squeasy Sport is 16oz. Both are available in pink, green, turquoise, and grey, with new colors and top options launching soon! Our grand prize winner will receive 2 Squeasy Gear items – their choice of size and colors, a $34 value! Childrens clothes that are better for the planet, better for the people making them, and better for the children wearing them – this is Art & Eden!! They are GOTS certified, utilize sustainable farming methods and fair business practices, low impact dyes, and recycled packaging. They offer local and global giveback. What’s more? They’re super cute and affordable! Our grand prize winner can select either the Leah Dress or the Eli Crew Neck Sweatshirt, both pictured in the image below and available in sizes 2T – 10, a $40 value. You can shop for more on artandeden.com. Once you go Munchie Mug, you never go back. For real, it is THAT GOOD!! The fabric top is gentle on hands, and also completely prevents snack spillage. Shake it, drop it, no problem!! Muchie Mugs come in 9 color options in both 12oz and 16oz sizes, are BPA, Phthalate, and PVC free, made in the USA, top rack dishwasher safe, and come with a stay fresh lid to keep leftover snacks fresh. Our grand prize winner will receive 2 snack cups in their choice of size and color, a $36 value. You can shop for these great snack cups on munchiemug.com or Amazon (affiliate link). Looking to support a budding momtrepreneur while purchasing fabulous makeup? Then Younique is for you! With everything from foundations and fragrances to eyeshadow palettes and lipsticks, you’ll find everything you need through our mom friend and presenter, Allison. You can join her Facebook group or reach out to Allison directly with any questions, or with interest to join her team and become a presenter yourself – what a fun and easy way to make money from home! Our grand prize winner will receive 1 Moodstruck Epic Mascara (providing “Legendary lashes with a wave of a wand), a $24 value. The Tag*a*Long is a flexible handle that quickly loops through your stroller, giving your walking child something to easily hold on to. So simple, and yet SO GREAT!! It can make tagging along more fun for your child, and let’s face it, a bit safer. They’re BPA, PVC, & Phthalate-free, dishwasher safe, made in the USA, and require no tools or deep thought to install (I swap them out from stroller to stroller on a whim, that says a lot!). Our grand prize winner will receive 2 tag*a*long handles, a $20 value. When you need to hydrate your sick child, Wubba Water has your back. With NO GMO’s, synthetic dyes, artificial flavors, artificial sweeteners, corn, gluten, soy, dairy, or nuts, Wubba Water is an organic and healthier alternative to Pedialyte. With just 1 gram of organic sugar per serving, Wubba Water tastes great and helps ​replenish lost water and electrolytes. Our grand prize winner will receive 2 bottles of each of 3 flavors (6 bottles total), a $15 value. . The guitar, both my kids want to learn to play. I would love to win the Loog mini guitar for my daughter. I would love to win pediped shoes for my kids and stick on you labels too! I am excited about the Pediped gift and the Loog Guitars. I would be excited about the Squeasy Gear. I would love to try the wubba water. Maybe the quickzip bedding product but all of the items are nice! I would be excited for the Pediped shoes and the Stuck on You labels! This is such a good giveaway! I could make good use of all of these things! I love the Squeasy Gear for my daughters and also the The Tag*a*Long, since my older daughter always likes to walk her younger sister in the stroller. The Munchie Mug, especially for car trips. My kids do great for the most part but for some reason if we are in the car going somewhere treats are bound to spill. The Art and Eden clothing! So cute! I’d be excited to win the little guitar. I like the squeasy gear. I would use the Munchie Mug a lot! 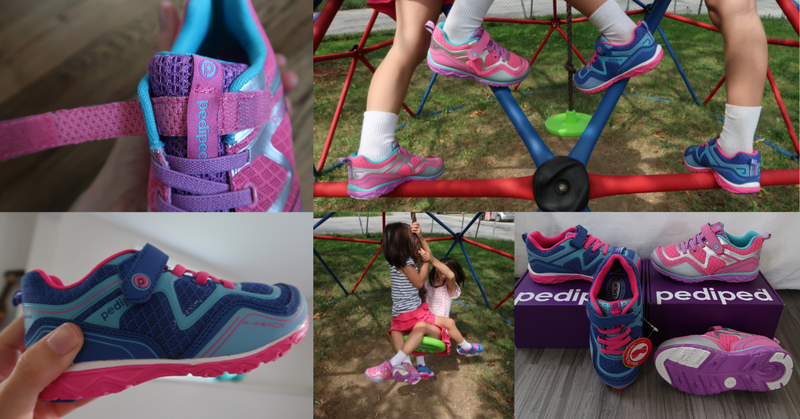 We love PediPed shoes! They’ve been perfect for our daughter and last for two children wearing them! The mini guitar looks adorable too! Pretty Girls Lips and Lashes! I would be so excited to try the Sneakz organic products! I love the Loog guitar and the Pediped shoes! Awesome giveaway! I would love all the prizes, but I have been really wanting to try the to younique mascara! I would love to win the Loog mini guitar for my son & the pediped shoes. I am excited about the Moodstruck Epic Mascara! I’m really excited about the sneakz. Honestly, so many great items, but the guitar stands out because I really want my kids to learn musical instruments.. Groove Life & Quickzip items. I would be excited about the Wubba Water. I love the Art & Eden line! The Art & Eden! So cute. I am excited about the QuickZip bedding and the loog guitar. i would be excited about the pediped shoes. they are super cute and my daughter would love them. I would be super excited to win Pedipeds. I like the Munchie Mug! The Quick Zip sheets would be so perfect for my daughter! I would love to win pediped shoes for my Granddaughter and the bedding is awesome too. They are all great prizes though. Thanks. I would be psyched to win the guitar for my children! The quick zip where it’s fall and some camping weather still but get cold at the nigh time. I would love to win the Munchie Mug. I’d be most excited to win the Loog Guitar, my youngest would absolutely love it! Thanks for hosting. I heart the Munchie Mug! I like the mini guitar and make up. The Pretty Girl Lips n Lashes – Younique; I’m always looking for new mascaras to try. The git box for the tyke. I would love to try the sneakz.I would be tempted. I would love to try the Pretty Girl Lips n Lashes by Younique. I’d love the MunchiMug, or the Pediped shoes! I’ve always wanted something like the Munchi Mug for my grandchildren, They didn’t have stuff like that when my kids were little! The Stuck on You Stickers would be a lot of help around here! I’d be excited to win the Groove Life rings. I am most excited to win the Mascara and the Wubba Water. I’m sick today, so Sneakz, please. I won a few of those drinks previously, but they gave this awesome insulated lunch tote that I use as my cook bag for my daily hikes. Never thought it would last this long, but its so perfect for pasta pouches! I am excited about the QuickZip Bedding. I am most psyched to win the Sheakz Organic to see how it tastes. The Quickzip for bedding is my favorite. I was just trying to organize my sheets and need some help! I’d love some groove life rings. I am a music buff, so the Loog Guitar is my favorite item in the giveaway. i’d be excited for the QuickZip credit. The Squeasy Gear would be great for my family!